A low-calorie diet can reverse type 2 diabetes and save the lives of millions of sufferers of the preventable condition, research suggests. Eating between 825 and 850 calories a day for three to five months put the disease into remission in almost half of patients in a new study, according to the Daily Mail. 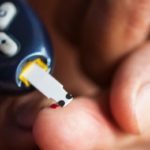 The Diabetes Remission Clinical Trial (DiRECT), published in the Lancet, looked at almost 300 adults aged 20 to 65 who had been diagnosed with the disease in the past six years. 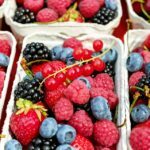 It showed that participants, who were instructed to slowly reintroduce more food, after one year had lost an average of 10kg, and half had maintained remission without antidiabetic medications. 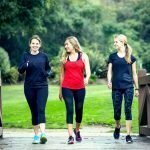 The researchers argue that their findings show that while bariatric surgery can achieve remission for a large number of diabetics, this “expensive and risky” method is not necessary as diet and exercise alone is “feasible”. Another expert, who was not involved in the study, said diabetic patients are best to start a reversal diet when they are first diagnosed and their motivation is high. DietSensor is the best nutritional solution to help manage diabetes. The solution comes complete with a mobile app for nutritional planning and tracking, a pocket-sized scanner, and a smart scale. With DietSensor, you can measure carbohydrate counts more accurately to better judge how much insulin to use. DietSensor Mobile App: The mobile app will assist you with nutritional planning and tracking. 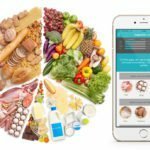 Access to Food Database: DietSensor has created one of the world’s largest food databases that you can access to help plan your daily meals. SCiO Scanner: The device scans your foods and drinks to give accurate fat, carbs, protein, alcohol and calorie counts, in seconds. Smart Scale: With the smart scale, you can more accurately measure portion sizes. Did you know that 45-55% of your daily calorie intake should come from carbohydrates? Should that lipid represent 30-35%? And proteins 10-20%?